Whether you are going on your family holiday, a business trip or a one-off trip of a lifetime, a single trip travel insurance policy is the ideal choice. 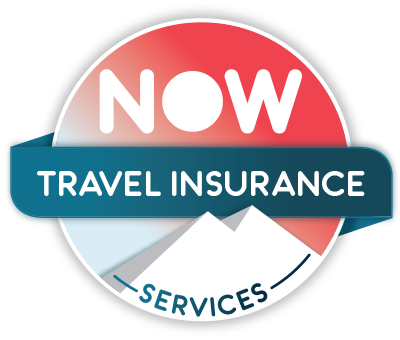 Why choose our single trip travel insurance? A Single trip policy from NOW Travel Insurance offers great value for money and cover levels to suit all budgets for every type of trip in the UK, Europe or Worldwide. If you are aged 18 to 65 years old, you can travel for a maximum of 367 days on all of our single trip policies. Not sure which region you require for your trip? See our Region map here for more information. If you are aged 66 to 75, you can travel for a maximum of 31 days on our UK single trip policies. If you require a Europe, Worldwide (excluding) or Australia and New Zealand policy, the maximum trip duration is 24 days. If you require a Worldwide (including) policy, the maximum trip duration is 17 days. Not sure which region you require for your trip? See our Region map here for more information. Including cover for loss, theft and damage of gadgets such as mobile phones, tablets, cameras, wireless speakers, kindles and much more.